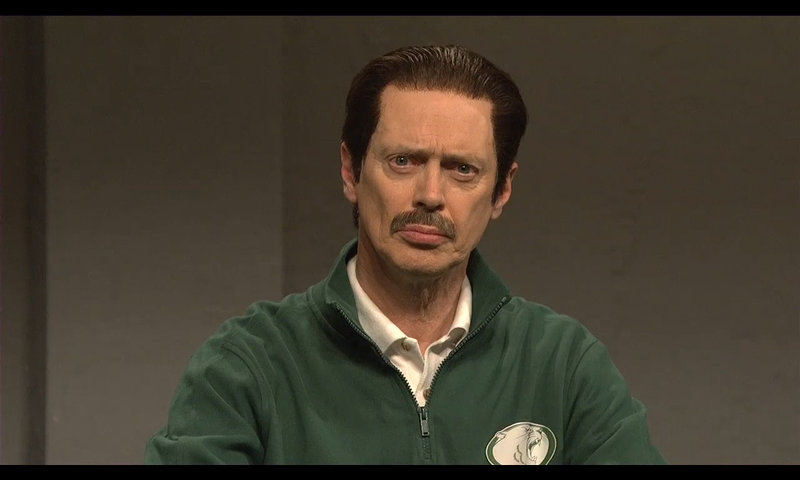 Steve Buscemi hosted SNL last weekend and he stretched his acting chops a few times by playing “the creepy guy.” One of the characters was “Coach Bert” who was accused of molesting children just because he had a steesh. Low blow, SNL. The sketch didn’t go over well with SNL alum Colin Quinn who thought it was too soon to make fun of Jerry Sandusky (which SNL already did anyway a week before). Quinn most recently has been doing his edgy Broadway show “Colin Quinn: Long Story Short” where he makes jokes related to the history of the world(!!!!). It wasn’t short enough as I turned it off after 7 minutes. Read the story and see the sketch here. This entry was posted in Character Actor, Fake Steesh, Trimmed Steesh on December 6, 2011 by Los Bulls.